RoSPA – Royal Society for the Prevention of Accidents – during 2016/17 is celebrating 100 years of undertaking their important work. 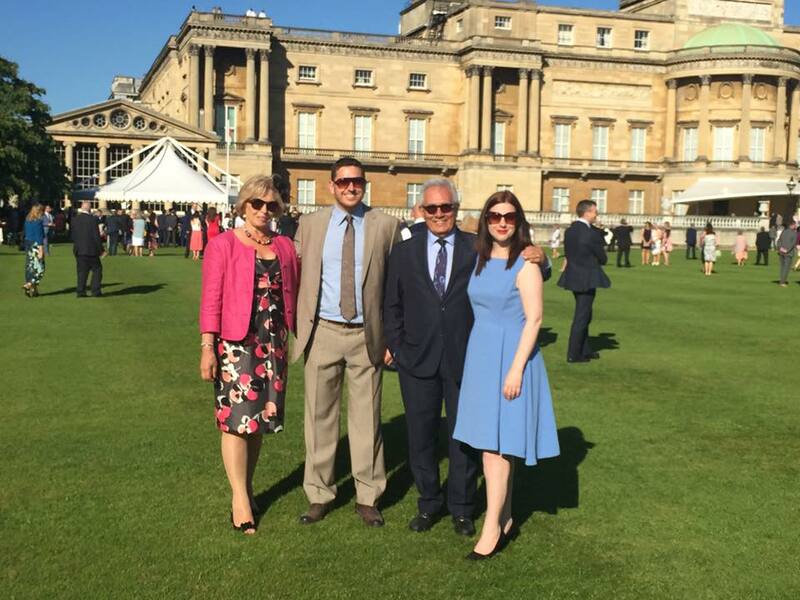 KHMT Trustees Gordon (Samuel), Richard (Haines), and Lucy (Chant) – have all worked with RoSPA and were delighted when RoSPA invited them and a guest each to celebrate their Centenary at a Royal Garden Party at Buckingham Palace in the presence of HRH The Duke of York, KG and Princess Eugenie. It was an extremely sunny day and the Palace gardens looked beautiful but while enjoying the occasion, we were at the same time very conscious that we were only there because of Katie’s accident. We are very grateful to RoSPA for the valuable work they do in helping to raise awareness of the dangers of carbon monoxide poisoning.